Classic navy blue leather shoes by Early Days. In a traditional, feminine 'mary jane' style, they have a bar strap with a little button fastening and a pretty scalloped edge. 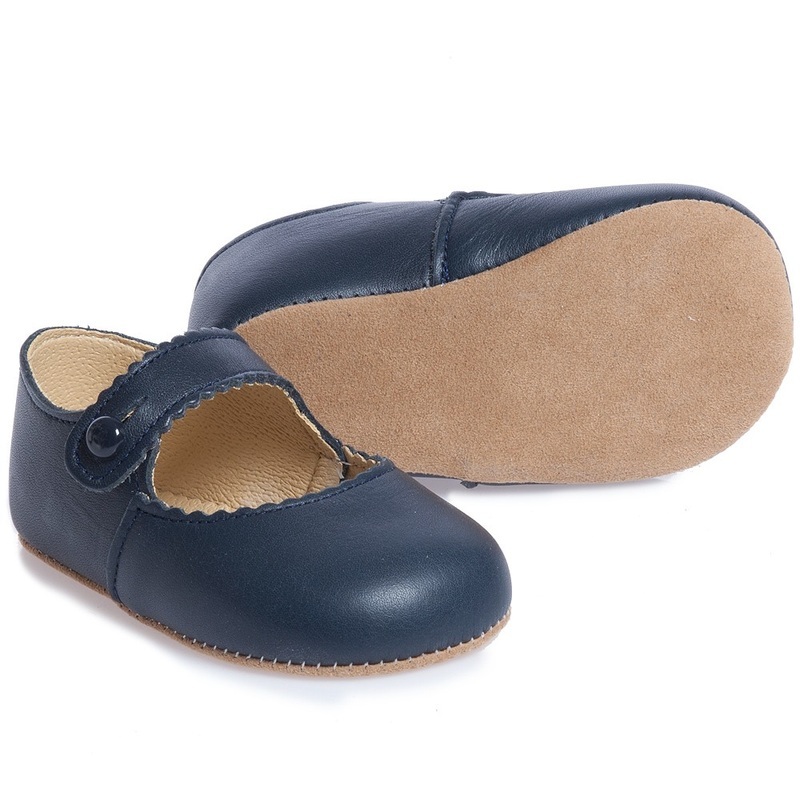 The sole is made from synthetic suede, very hard wearing and perfect for toddling.